• Someone says “Great ghost costume!” and you’re not wearing one. • You ask for high fiber candy. • You have to have someone else chew the candy for you. • When someone drops candy in your bag, you lose your balance. • You’re the only mummy with a walker. • You have to keep going back home to use the bathroom. I love this quote and hope my recent buyers and sellers are happy with their home choice! Hungry? Get out and enjoy Puget Sound Restaurant week!! Dine out and celebrate the fall run of Seattle Restaurant Week (SRW), October 14-25, 2012 (excluding Friday, Saturday and Sunday brunch). More than 150 local restaurants are serving up three-course dinners for just $28* and many of them are offering three-course lunches for $15*. You have an offer for your home and now the inspection? 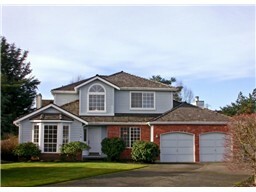 Tips for a good inspection and smooth transaction. Everyone knows that a professional home inspection can uncover previously unknown problems, both major and minor, allowing issues to be addressed before the sale is complete. But by taking some important steps to prepare the property for inspection, homeowners can avoid some basic problems that might otherwise affect a clean inspection report. Disclosures are a key component of any real estate transaction. Past problems including fire or water damage should be noted in the disclosure documents. Homeowners need to have access to building permits and plans issued for any major renovations; proof that such changes were done legally is extremely important. If there was work done that lacked proper permits, this will need to be disclosed as well. Have invoices and warranties available for major improvements, roofing, furnaces, and major appliances. 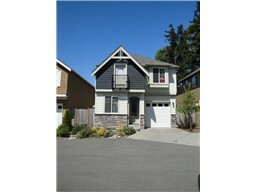 Routine exterior maintenance is an easy way to keep up with minor problems before they escalate. Prior to inspection, repair any damaged masonry on steps and walkways, and seal cracks in the driveway. Not only will the home look better, but future problems can be prevented. Recaulk around exterior doors, windows, and flashing, and replace any missing or damaged shingles. Inside the home, relatively minor fixes can improve the home inspection results. Repair leaky faucets and fixtures, and re-caulk around tubs and sinks. An electrician should inspect receptacles and switches and make any needed repairs. Replace any cracked or broken window glass, and loosen any windows that are painted shut. If there is a fireplace, have it and the chimney cleaned and checked by a professional. If the home inspector can’t see into the chimney because of soot buildup, they won’t be able to inspect it and may need to return after it’s cleaned. Arrange service for the furnace and central air conditioning so that any issues can be addressed before the home inspection. If the home has battery-operated smoke detectors, install fresh batteries and install additional units if any are missing. Install carbon monoxide alarms if the home does not have them. 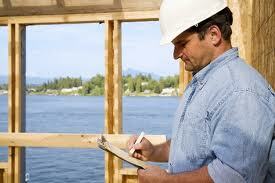 On the day of the home inspection, a few easy steps will facilitate the inspection process. First, allow sufficient time for the inspection. A professional home inspection will take two and a half to three hours on average, longer if the home is very large. Most homeowners choose not to be present for the inspection, though the potential buyer will usually want to be there. The homeowner will need to provide keys to any locked areas, and access to the attic, crawl space, storage sheds, the garage, and yard. Be sure that the inspector has access to components such as electrical panels, the water meter, and gas meter. Move objects from around the water heater, furnace, and central air conditioning unit so that the inspector can access them. In winter, clear walkways of snow and ice for safe access to the home. Make arrangements for pets to be out of the home or in a crate for their own safety and that of the home inspector. Dogs in particular can be disruptive, and some may even be distressed by having an unfamiliar person in their “territory”. It is always a good idea to store small valuables and medications out of sight and in a secure location for your own peace of mind. One option is to simply take them with you when you leave the home during the inspection. Taking these steps can go a long way in preventing or addressing problems that could negatively affect the inspection report. An inspection-ready home presents itself best for evaluation and makes the entire process go more smoothly. Its a bit of a rainy and cool day but if your in the market for a new home its the perfect day to come out looking and take advantage of the best interest rates ever! Plus take a look at the deal of the weekend! Today, I am up at Shasta Ridge in Marysville. 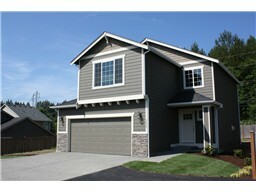 This is a brand new community right off of Soper Hill Rd bordering Lake Stevens and Marysville. 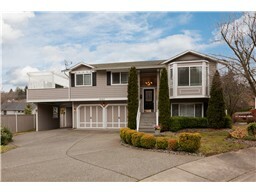 If you are in the market for a home you need to come up and see us! We are selling out very quickly and future phases that were not going to be released until 2013 are already starting to be built. I knew they would have to as the prices are so incredible and these homes are just perfect for first-time home buyers, singles, folks looking to downsize or just anyone looking to live in a nice area and in a new home! 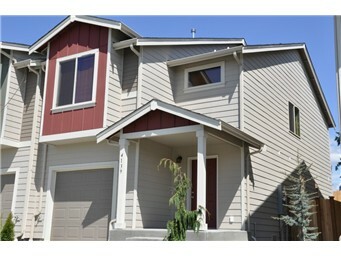 As for the deal of the weekend- I am excited to announce that we just had a Rainier Model come back on the market. 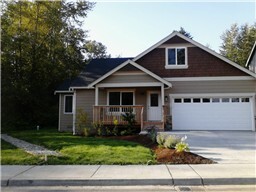 The Rainier Plan is an open & spacious 1,358 asf home w/3 bdrms, 2.5 baths, energy efficient lighting, window screens, granite slab island & counters (STANDARD) throughout. 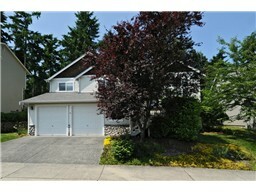 Fully landscaped front & back yards; plus this one has a very large back and side yard. The best part? 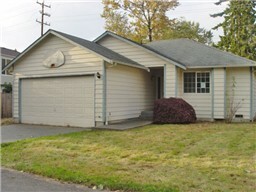 Price, Value and location! 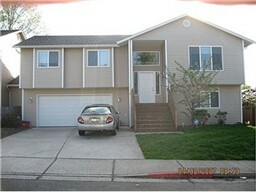 At $164,950 you cannot beat this deal and I am sure it will be gone by the end of the weekend. 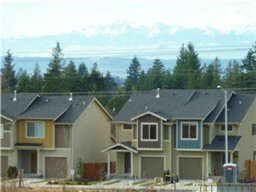 While your here don’t miss our 1.5 acre park w/full basketball court, play area, large NPGA and the beautiful territorial views in the Lake Stevens school district. With the high quality service of Belmark Homes you cant go wrong on these Super quiet and energy efficient town-homes and 13 Single Family homes coming soon. Give me a call for your own personal tour!